Over at AutoStar Nissan of Boone we have an emboldened stock of the newest, hottest Nissans on the market. Among our offerings, we’re now carrying the three of Nissan’s newest models: the Nissan Frontier, Nissan Kicks, and the ever-popular Nissan Rogue. Regardless of what you’re looking for, we guarantee one of these builds has exactly what you’re seeking. Are you chasing after an off-road excursion to close out summer? The Nissan Frontier is ready for you. Maybe you’re looking for a safe, affordable crossover that’ll fit the whole family for your next road trip? Then the Nissan Kicks, Nissan’s newest make, is up your alley. What about the best selling non pickup truck so far of 2018, that supports the latest technology available and incredibly safety features? A new or used Nissan Rogue will be the perfect fit for you. No matter what you’re seeking, our Nissan offerings will exceed every single one of your expectations. There’s several reasons why the 2018 Frontier is labeled “America’s Most Affordable Pickup“. Versatile and built with flexibility in mind, the Nissan Frontier is slowly gaining traction one of America’s favorite pickups. When you invest in the Frontier, you’re investing in an adaptive vehicle across the board. 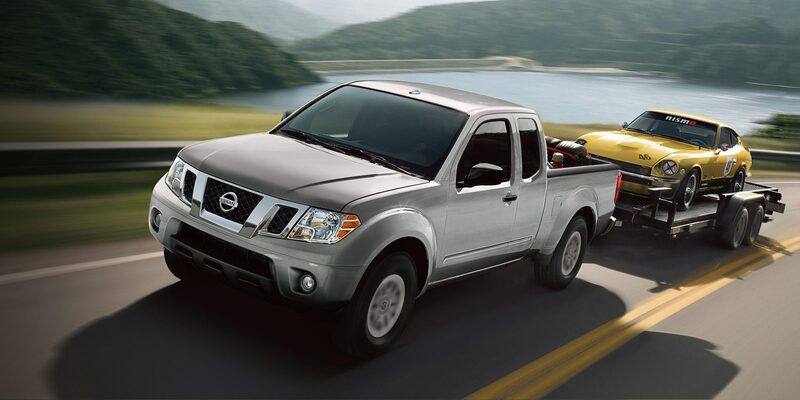 For example, the Nissan Frontier Towing Capacity supports up to 6710 pounds! Not just that, but the Nissan Frontier comes equipped with the latest Automotive Technology and Safety Features. Sporting a Rearview Monitor, Auto-Dimming Rearview Mirror, an Advanced Air Bag System and Vehicle Dynamic Control, the Nissan Frontier is built for any adventures in mind. Have we peaked your interest? If so, your Nissan Frontier is waiting for you! 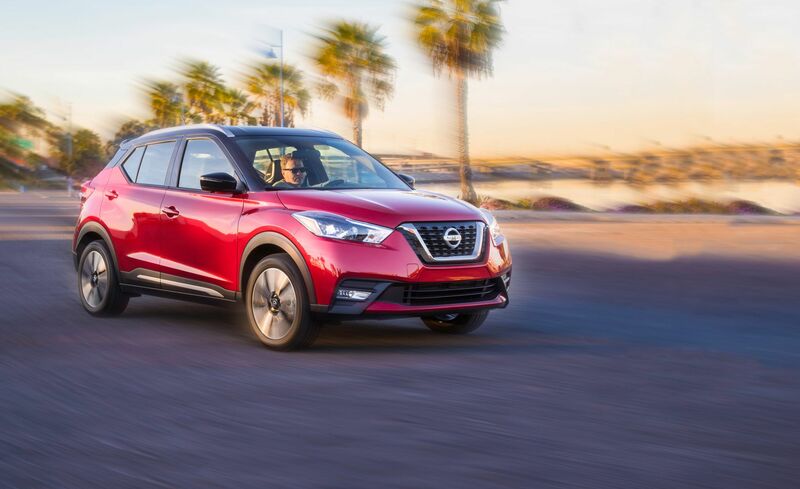 The 2018 Nissan Kicks is the newest make to enter the Nissan family. You’re probably asking yourself, “what exactly is the Nissan Kicks?”. 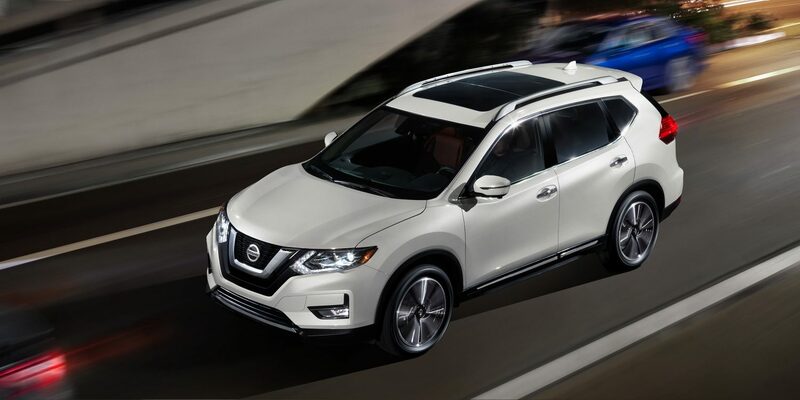 This brand new crossover above is Nissan’s latest pursuit at success. 2018 Kicks prides itself on style, performance, and utility. The goal Nissan had in mind when designing the Kicks was something that looks great and performs beyond consumer expectations. Its equipment emboldens one of Nissan’s newest, most advances features: Nissan Intelligent Driving. Every Nissan Kicks comes equipped with Nissan’s latest venture into safety features. With Nissan Intelligent Driving, your vehicle learns with you as you drive. Over time, your vehicle will aid you in reacting faster to potential dangers, park for you, and efficiently navigate heavy traffic. Nissan Intelligent Driving is the next big step in automotive technology and safety features. Does the state of the art Nissan Kicks and its Nissan Intelligent Driving appeal you? Drop by our Boone location today and check our the 2018 Kicks! We saved our arguably best for last. The Nissan Rogue is one of our best sellers. Likewise, the Rogue is the best selling non pickup truck so far in 2018. When you invest in the Nissan Rogue, you’re investing in “America’s Best Selling SUV”. There’s an incredible number of reasons why the Rogue is so many families’ go-to for their vehicle purchase. The Nissan Rogue MPG is 26 in the city and 33 on the highway; a 2018 Rogue sports 5 seats for family travel; the Nissan Rogue even has Automatic Collision Notification to contact emergency services anytime an accident occurs. Like the 2018 Nissan Kicks, the 2018 Rogue comes with Nissan Intelligent driving. Expansive cargo space, All-Wheel Drive, and Hill Start Assist await in your new 2018 Nissan Rogue. There’s a reason the Rogue has stood the test of time, acting as an affordable example of everything Nissan has to offer. So what’re you waiting for? Come test drive a brand new 2018 Nissan Rogue today!